This was probably my favorite webinar/slide deck ever. And while it's now four years old, the concepts and ideas still hold true today. So, are you a zombie hunter or what? Thanks to @espencedalton for unearthing this relic on Twitter. Happy Halloween! Hey all! 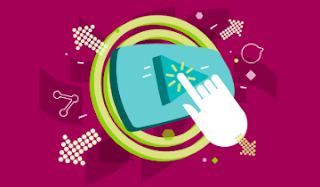 Join me this Thursday for a Kineo webinar where we'll take a look at Interactive Video. Looking to supercharge your online training and see how interactive video can work for your business? We want to share our best ideas with you so you can make a higher impact, drive effective engagement and make elearning more fun all with interactive video! And of course, we'll look at a bunch of examples! It's been awhile since I've run a webinar. I'm getting excited to get back out there. See you there! Now THIS is what Deliberate Practice looks like! 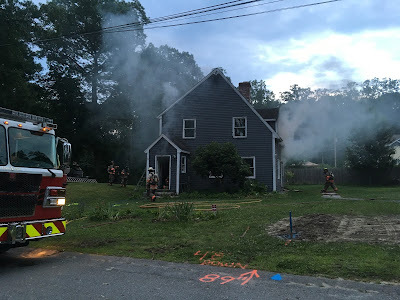 Last night, the Fire Department used the house next door (which will be demolished on Wednesday) as a training ground. It was pretty exciting to watch the smoke and fire streaming out of the windows and to see the firefighters climbing the roof and cutting holes in it. Alas, they didn't burn the house completely to the ground, much to my daughter's chagrin. Fun and exciting that is, until one of the firefighters had smoke or heat exhaustion. He seemed fine, but it definitely changed the tone of the whole event. Preparing for the real deal means preparing at all levels. So how can you set up training in your workplace with this level of deliberate practice? Today marks my 8th anniversary with Kineo. That's right, eight years ago TODAY we opened up Kineo here in the US. Thanks to so many great clients and fabulous team members who have helped us do so much great work these past eight years. It's been a fabulous experience, with lots of challenges, lessons learned, and triumphs along the way. Training Industry just named us to their Top 20 list of Content Development Companies for our 5th straight year. Check here for the full TI list. Looking forward to the next eight years! 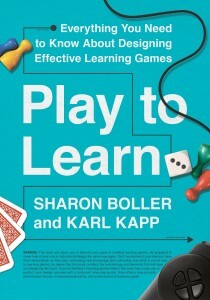 Karl Kapp and Sharon Boller have been banging the drum about learning games for years. In fact, one of my favorite ID-books back in 2007 was Karl Kapp's "Gadgets, Games, and Gizmos for Learning." Well, 10 years later, games have not gone away, in fact, they've solidified their place in our industry as clients and learners continue to ask for and expect modern learning experiences. At Kineo, we hear more and more from our clients a requirement for gamification, games for learning, serious games -- and all the many ways that need is expressed. So, if gaming is on your dance card these days and you're looking for some tips on how to get started and what to do, be sure to add this book to your required reading list! Informative and practical -- with roadmaps to help you with defining game goals and instructional goals, learner personas, learning objectives; creating prototypes; play-testing; development considerations; deployment and more. "Commercial games such as Angry Birds, Assassin’s Creed, or Monopoly are usually played without context: A group of friends simply start playing a game, either online or in person. However, for a learning game to be the most effective, it needs to be part of a larger instructional plan and include instructional support elements. You can’t simply create a game and expect the players to learn from it without providing any context or guidance. For learning games to work, they need to be an integral part of a larger learning design." 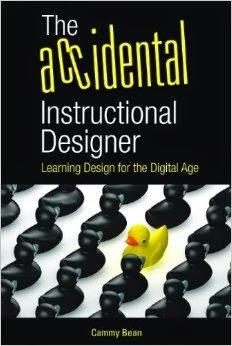 Check out the Table of Contents to see why this book is a must-read for learning designers. This is an easy to read, accessible book, chock full of practical ideas and tips for helping you make the leap from learning designer to learning game designer. Be sure to add Play to Learn to your essential reading list! And check out all the stops on the Play to Learn book tour. Are you a sharp, sassy, instructional designer with at least five years experience? Can you inspire a client, lead a project team, and design fantastic learning experiences? Find out more about this Chicago-based (or remote for the right person) position! I had great fun chatting with Lars Hyland (@larshyland) of Totara LMS last month. We talked about disruption in the Learning & Development industry, ticking off boxes, and selecting toothbrushes. Read the full article Disruption Debate with Cammy Bean: Shifting the Titanic at the TotaraLMS site.